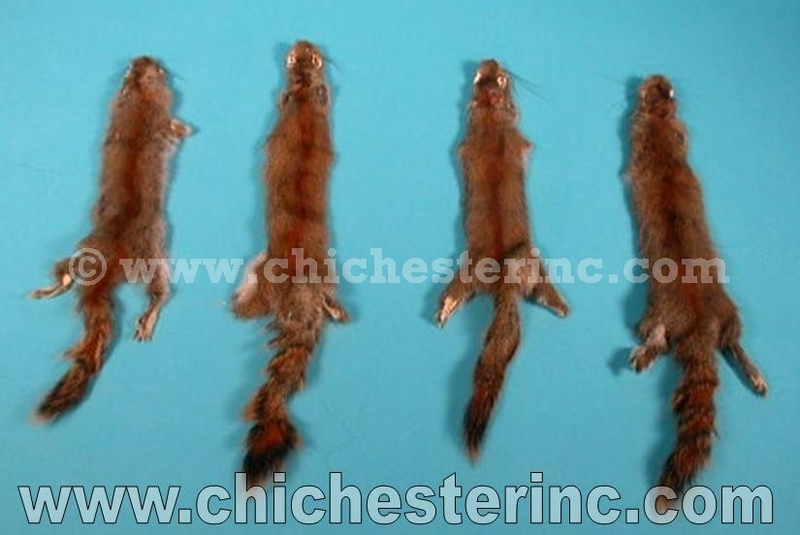 Pictures and more information on each type of squirrel is shown below. The #1 grade are generally nice quality whole skins. The #2 grade skins are damaged, partial skins. None of these squirrels are endangered. The Red Canadian Pine squirrels are approximately 8.5" long plus a 6" tail. They are 2.5" wide in the middle. They are cased. 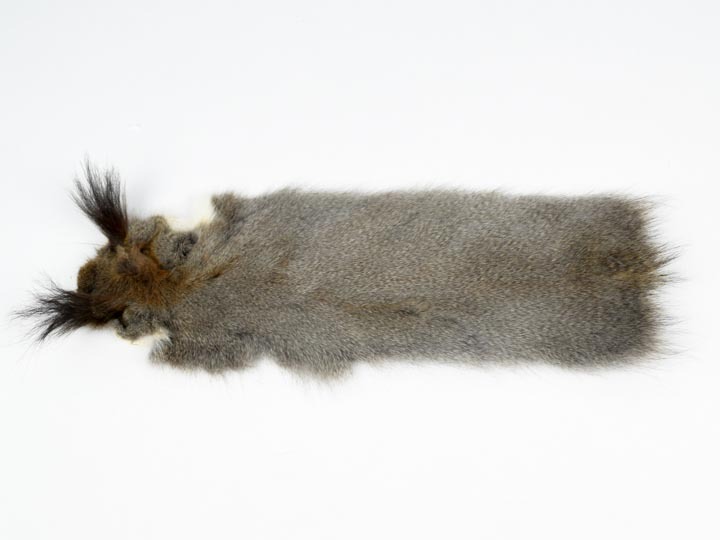 The American Gray squirrel skins are cased and have tails. 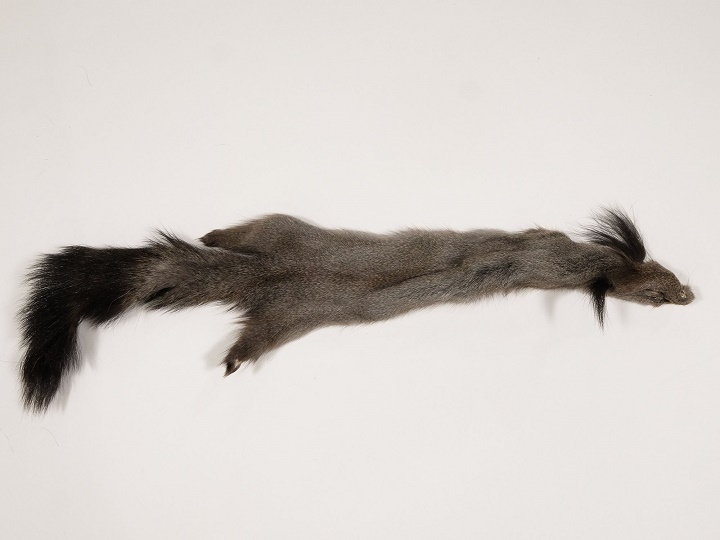 They are 16" to 21" long, including the tails, and 3" to 3.5" wide. They weigh approximately 1.5 oz. The Fox Squirrels are approximately 13" to 15" long and do not have a tail. They are 2" to 3" wide in the middle. They are cased. 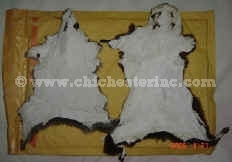 The Chinese Gray squirrel skins are about 8" to 10" long including the head and 4" to 5" wide. 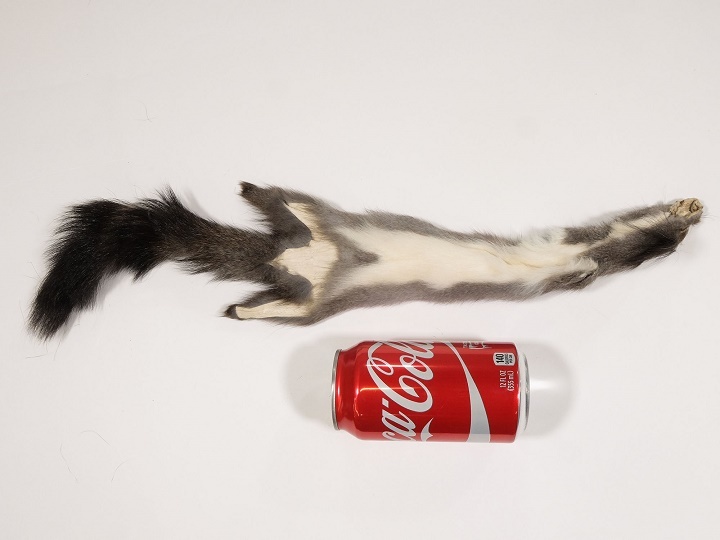 The skins are chrome-tanned in China and generally do not have tails. 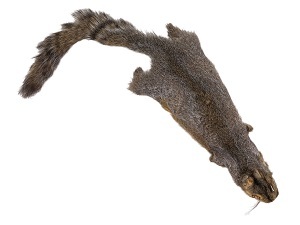 The Russian Gray squirrels have tufted ears. 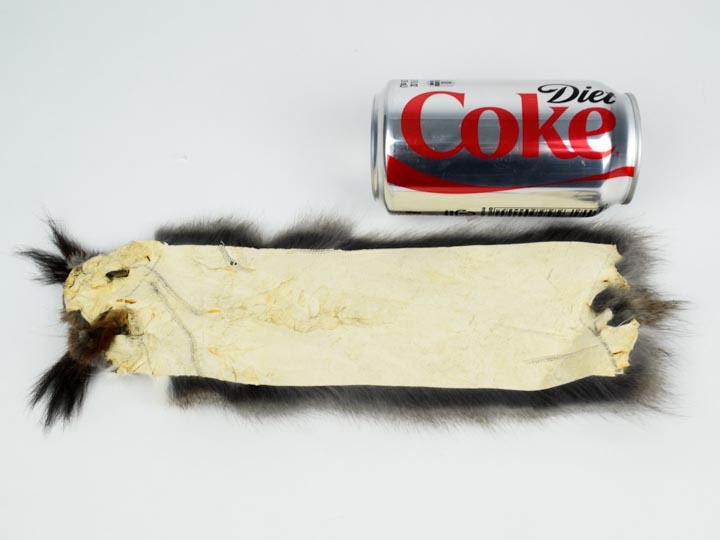 The #1 skins are 12" to 14" long from the tip of the nose to the base of the tail. 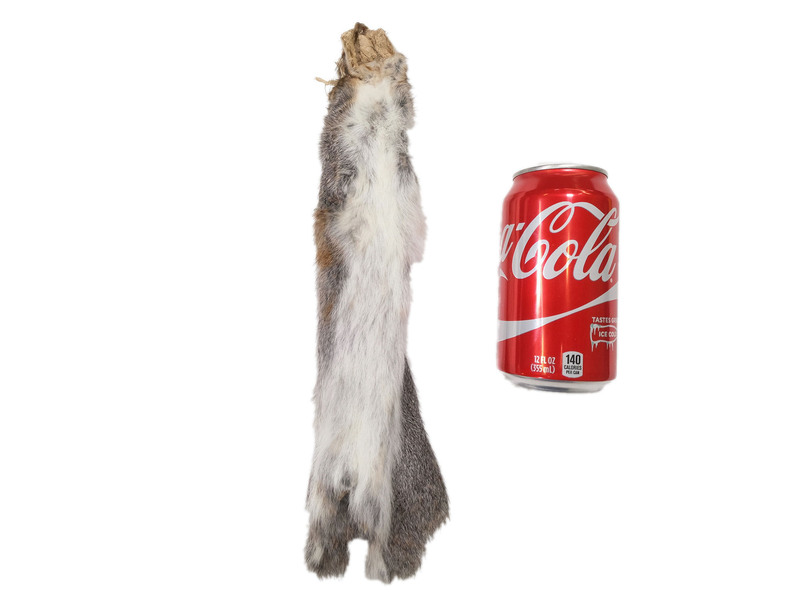 The tails are 6" to 8" long. 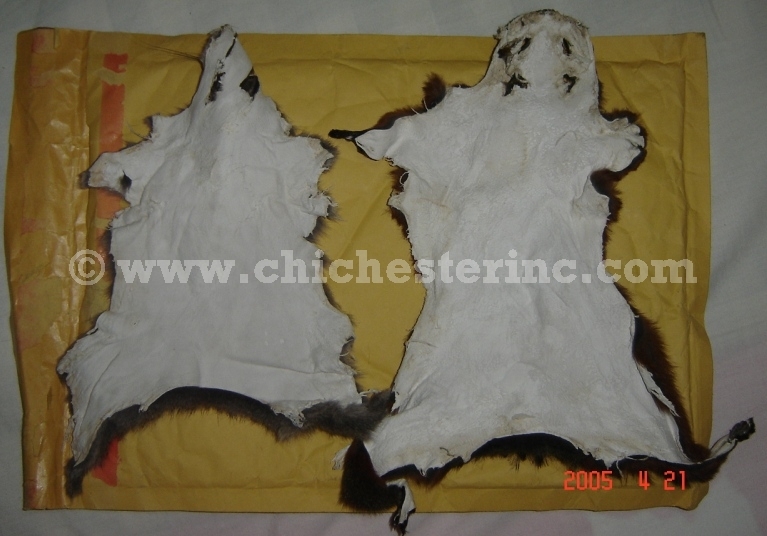 The skins are 2" to 2.5" wide across the middle. There are no feet or claws on these skins. The skins are cased. Five skins at random weighed 110 grams. 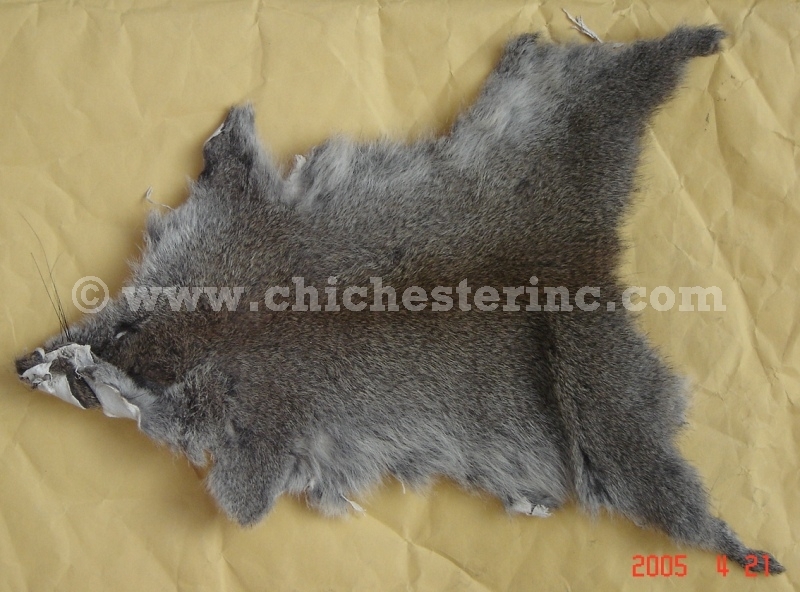 The #2 Russian Gray squirrel skins are 12" to 14" from the tip of the nose to the base of the tail. 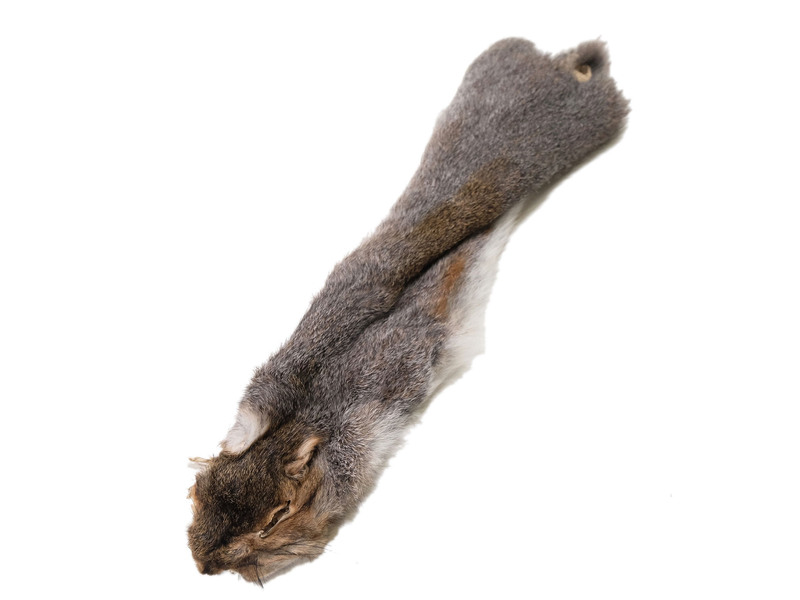 The tails are 4" to 5" long when present. They are 2" to 2.5" wide. The skins come open and have no tails. Five skins at random weighed 89 grams.